Hearing aid styles come in a standard or custom-fit style. 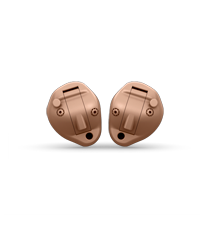 Custom hearing aids are specifically made for your ears and require a quick and easy ear impression for the manufacturers to build your hearing aid from scratch on. Standard products can be fit using special tools and accessories to size and adjust them physically for your ears. Both have different advantages, and are only available made-to-order based on your hearing test results and physical characteristics. All parts of the aid are contained in a small plastic case that rests behind the ear. The case is connected to a custom earmold by a piece of clear tubing. This style is often chosen for young children for safety and growth reasons, and also for severe to profound hearing losses. BTEs usually offer the largest power and amplification available, and have many options for volume and programming controls on the outside. 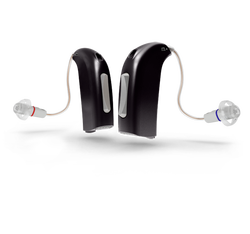 RIC hearing aids are the latest in hearing aid technology advancements. 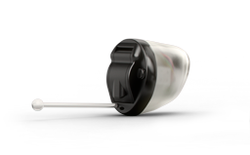 The microphone is protected by the back of the ear and the output speaker of the hearing aid is attached by a thin transparent tube, hardly noticeable from the front of the head. The result is a virtually invisible hearing instrument that offers a comfortable and natural hearing experience. RICs typically have on-board volume and program controls. ITEs are a very popular custom hearing aid which is designed to fit within the bowl of the ear, as well as the ear canal. These hearing aids are sometimes easier to manage for people with dexterity concerns and have the benefit of being able to hold a larger battery, requiring less frequent changing. This hearing aid is able to hold the most options (volume control, program changing buttons, directional microphones, etc. ), and is easy to clean and maintain. 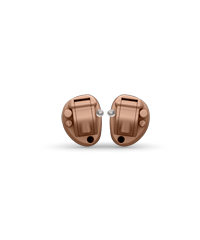 ITC hearing aids are smaller than ITE hearing aids, and occupy a smaller portion of the ear in the ear canal. 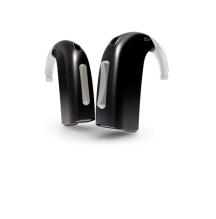 Advantages include a wide-range of ability to handle many different levels of hearing loss, with a smaller casing size that is still easy to handle and maintain while still having enough space to carry some advanced features. 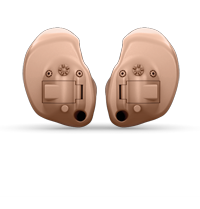 These small and discreet hearing aids are custom made and fit right in the ear canal. Although cosmetically appealing, their small packaging can sometimes limit the type of hearing loss that they can be fit to. They also have smaller batteries that hold less power at one time, and usually have limited controls. An IIC hearing aid sits deep in the ear canal, very close to the eardrum, are almost completely invisible, and work well for some types of hearing loss. The battery is quite small, and it does not have any onboard controls. Although this is an appealing option for anyone concerned about cosmetic appearance, it has less options for accessory connectivity for special features.